Kerssemakers has 25 years experience at Volvo. Volvo is continuing to restructure its executive ranks under its new Chinese owners. The Swedish brand's board appointed Lex Kerssemakers as head of product strategy and vehicle line management, effective Jan. 1. His new position will give him a key role in the development of the company's next generation of cars, Volvo said. 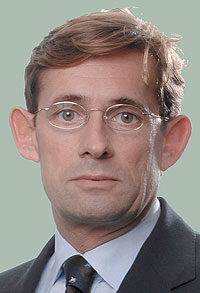 Kerssemakers, 50, moves to the new role from his post as head of Volvo Cars Overseas Corporation. The Dutch native has 25 years of experience in key positions at Volvo, giving him a deep understanding and knowledge about the product planning process, a Volvo statement said. "Product strategy and vehicle line management is a new function focusing on the management of the car lines. This will make it possible for the engineering side to focus on developing the next generation of products," Volvo said. "Lex has a broad experience of this very complex work, which is one of the core activities within a car company. As head of Volvo Cars Overseas Corporation he has added a deep understanding of the market place," CEO Stefan Jacoby said in a statement. Jacoby has said in recent interviews that he wants Volvo to build cars with a more emotional appeal to buyers, characterized by simple forms that emphasize the brand's Scandinavian heritage. Jacoby is a former CEO of Volkswagen Group of America. He replaced Stephen Odell as Volvo chief in the summer, when Odell became Ford of Europe CEO after China's Zhejiang Geely Holding Group bought Volvo from Ford Motor Co. for $1.3 billion. At its Dec. 9 meeting, Volvo's board also named Jan Gurander as chief financial officer, starting at the latest in April 2011. Currently, he is finance head at MAN Diesel & Turbo SE. Hans Oscarsson will continue in his present role as acting CFO until Gurander's arrival when Oscarsson will become deputy CFO.